Diabetes is a disorder of blood sugar. 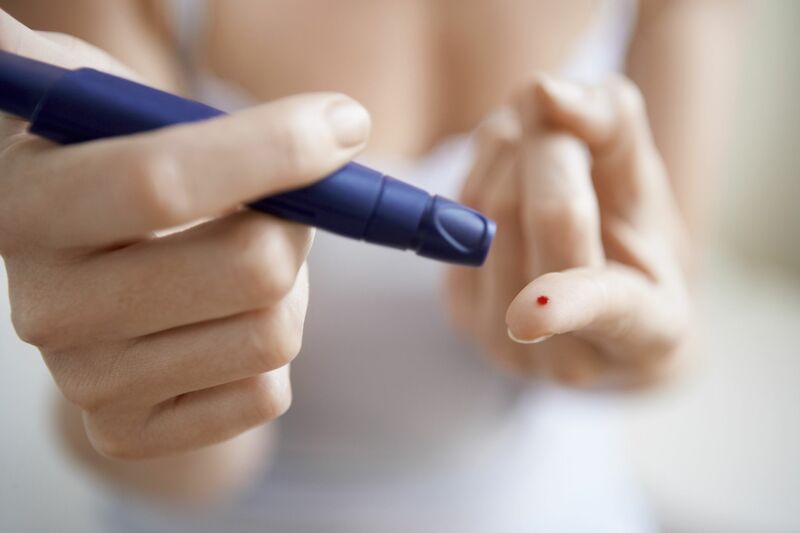 There are two main types of diabetes, in addition to the rarer forms such as diabetes that can occur during pregnancy, known as gestational diabetes. Type 1 diabetes causes high levels of blood sugar because the body stops producing insulin, the hormone that regulates sugar levels. Type 2 diabetes causes high levels of blood sugar because insulin in the body does not work effectively. Type 1 diabetes is treated by insulin injection. Careful planning of diet and activities is necessary to avoid treatment complications. Type 2 diabetes is treated with lifestyle measures, medications taken by mouth, and sometimes insulin if other treatments fail. Treatment of type 1 diabetes is always done with insulin, to replace insulin that is absent from the body and to keep the blood sugar level under control. 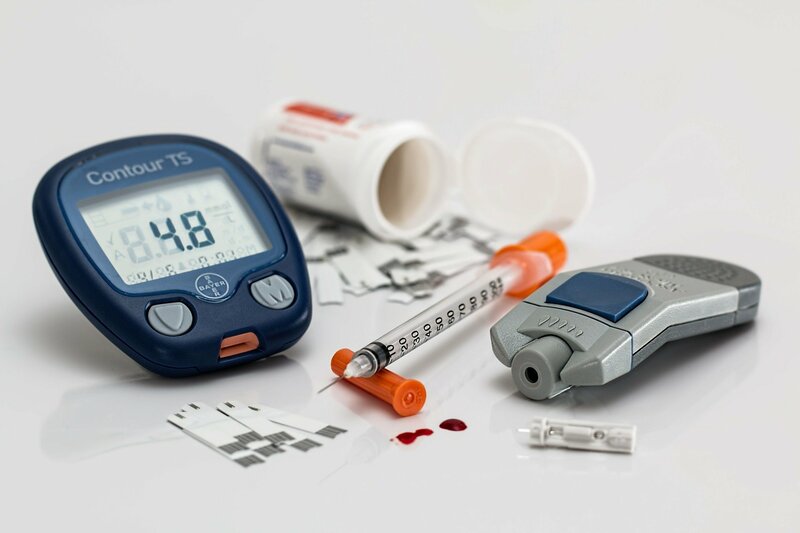 Insulin is usually given by injection – by the patients themselves, injection under the skin, or in case of hospitalization, sometimes directly into the blood. It is also available as a powder that patients can breathe. Insulin injections vary according to their speed of action, their maximum action and their duration. The goal is to mimic how the body would produce insulin throughout the day and in relation to energy intake. Fast-acting injections take effect within 5 to 15 minutes, but last for less than 3 to 5 hours: Insulin lispro (Humalog), Insulin aspart (NovoLog), Insulin glulisine (Apidra). Short-acting injections take effect between 30 minutes and 1 hour and last from 6 to 8 hours: Regular insulin (Humulin R and Novolin R). Intermediate injections take effect after about 2 hours and last from 18 to 26 hours: Insulin isophane, also called NPH insulin (Humulin N and Novolin N). Long-acting injections take effect after 1 or 2 hours and last between 14 and 24 hours: Insulin glargine (Toujeo), Insulin detemir (Levemir). Premixed injections are combinations of the types of insulin above. All take effect between 5 minutes and 1 hour, and last between 10 and 16 hours: Insulin lispro protamine / insulin lispro (Humalog Mix50 / 50 and Humalog Mix75 / 25), Insulin aspart aspart protamine / insulin (NovoLog Mix 50/50 and 70/30 NovoLog Mix), NPH insulin / regular insulin (Humulin 70/30 and Novolin 70/30). Fast-acting inhaled insulin is breathed in, takes effect within 12 to 15 minutes, and lasts 2.5 to 3 hours: Insulin Human Powder (Afrezza). Medications for type 2 diabetes. Insulin can also be used to manage high glucose levels in type 2 diabetes, but only when other treatments have not worked. Women with type 2 diabetes who become pregnant may also use it to reduce the effects on the fetus. In people who still have high levels of blood glucose despite lifestyle measures, non-insulin medications to lower blood glucose levels may be prescribed. These medications are taken by mouth and listed below. Many medications are combined for more than one effect. If two or more treatments are needed to control glucose levels, insulin treatment may be necessary. Meglitinides also increase insulin secretion. These may be more effective at releasing insulin during meals. The action of biguanides is to stimulate the effect of insulin. They reduce the amount of glucose released into the blood by the liver. They also increase the absorption of glucose from the blood in the cells. Metformin is the only biguanide that is allowed in the United States (Glucophage, XR Glucophage, Glumetza, Riomet, Fortamet). Thiazolidinediones reduce tissue resistance to the effects of insulin. These are relatively new drugs for diabetes, so we need to monitor potential safety issues. They should not be used in patients with heart failure. Alpha-glucosidase inhibitors cause digestion of carbohydrates and their absorption slower. This reduces the glucose levels in the blood after meals. This is a relatively new class of drugs. One of their effects is to slow down the rate of emptying the contents of the stomach along the bowel, and thus slow down the absorption of glucose. Sodium-glucose 2 co-transporter (SGLT2) inhibitors cause the loss of more blood glucose in the urine. They can also produce a modest amount of weight loss, which can be a benefit for type 2 diabetes. An ergot alkaloid, bromocriptine (Cycloset), is approved for type 2 diabetes. It is not recommended alongside other diabetes medications. Bile acid sequestrants are used to control cholesterol levels, but they also control blood sugar levels. Only colesevelam (Welchol) is approved for type 2 diabetes. High blood pressure is treated with ACE inhibitors or angiotensin II receptor blockers. These medications also help prevent or manage the kidney complications of diabetes. The cardiovascular risks (heart disease and stroke) of diabetes are managed by taking statins to lower cholesterol, and a low-dose aspirin once a day, unless aspirin cannot be taken. Losing weight is a key part of diabetes management and prevention. Medications can be used to help too, if the lifestyle measures have not worked. Insulin cannot be taken by mouth because the stomach breaks down the hormone. This means that the main route of access to the bloodstream is after the injection under the skin or by an insulin pump. The idea of an artificial pancreas is an ongoing field of research. This would use sensors to electronically monitor blood sugar levels to release the necessary amount of insulin. Pancreatic cells that did not produce insulin could also be transplanted from donors. Some patients are already benefiting from early advances in pancreatic islet cell transplant research. Personalized medicine is a promising area for the treatment of all types of diabetes. Better grouping of diseases and therefore more targeted treatment can result from developments in genetics and big data.